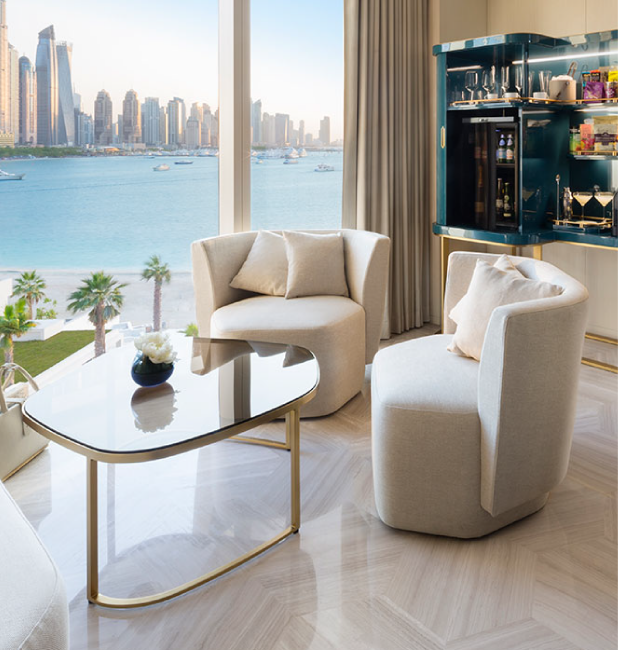 The vision of master developer, Mr Kabir Mulchandani, ‘Five the Palm” was planned, created, and constructed from a beachfront plot on the shoreline trunk of the Palm Jumeirah. 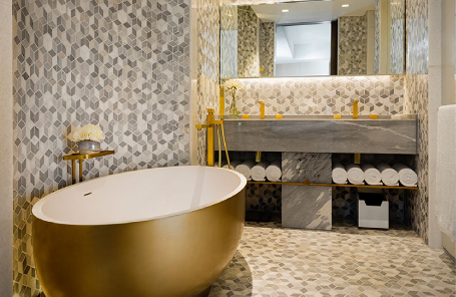 Our company were appointed by Five holdings to fit out and project manage completion of all interiors to bedrooms, bathrooms, and corridors to this spectacular architectural masterpiece overlooking the sandy beaches and breathtaking coastline of the Arabian Gulf. With 477 x hotel bedrooms and suites and 221 x one, two, three and four bedroom apartments spread over 16 floors it was a tough challenge to complete all interior works within a short 6 month period, especially due to the limited service road access to the site, and restricted vertical transportation. However, with our usual positive approach, and “Can Do” attitude our company mobilized an experienced team of in house project personnel to the task of fast track surveying, and setting-out of all existing rooms ready for our own in house custom manufactured wall panelling, timber ceiling, headboard panels, wardrobes, doors and frames, and all fitted joinery within the interior spaces. 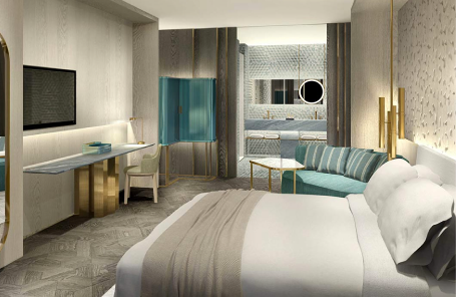 Additionally we project managed all gypsum, flooring, kitchens, and decorating trades through to handover of all areas for guest occupation, and integrated all works in close co-operation with the appointed MEP contractor. The stylish interiors, with light beige hexagonal “serpeggiante” marble flooring throughout, floor to ceiling glazing, light and dark grey washed oak veneered panelling to all walls with custom brushed bronze metal inlays, and decorative metal edges, and recessed downlighting all present a fresh contemporary, and luxurious feel for this exclusive lifestyle resort.